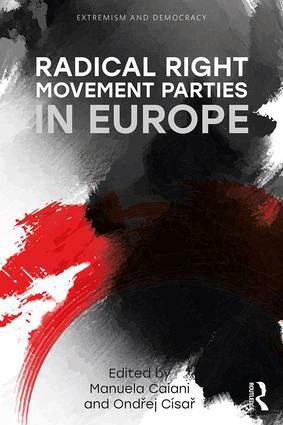 This book provides state of the art research by leading experts on the movement parties of the radical right. It examines the theoretical implications and empirical relevance of these organizations, comparing movement parties in time and space in Europe and beyond. The editors provide a theoretical introduction to radical right movement parties, discussing analytical frameworks for interpreting their causes, forms, and effects. In the subsequent sections of the book, chapter authors examine a range of empirical case studies in Western, Central, and Eastern Europe, using a combination of qualitative and quantitative methodological approaches, and make a significant contribution to the literature on social movements and party politics. This book is essential reading for scholars of European party politics and students in European politics, social movements, comparative politics, and political sociology. From the streets to the Parliament? A tale of movement party success? Still a radical right movement party?